For the entire month of October last year, the Utah football team failed to win a single game. The same team who finished September at 4-0 now entered November without a winning record. This was not what Julian Blackmon had envisioned when he signed his Letter of Intent to play at "The U", as locals call the University of Utah. Worst of all was the 28-27 loss to USC, a game that the Utes had every chance of winning. "A lot of heads went down after that game, but one thing I like the most, there wasn't any finger pointing. We weren't the team (who said) 'Oh, we should have done this and this and this,' it wasn't so much of that," Blackmon said. "It was more of alright, shoot, we lost ... we just need to figure out what we've got to do better." One thing the team realized was that they needed each other more at that point than ever before. The Utes have an acronym for themselves - United Together Eternal Soldiers. Whether the team was going to win or lose, they were going to do it together. "The friendship on this team, it really is a brotherhood," Blackmon said. "We really believe in that, just being with these guys everyday, we all realize it's not just one of us going through the grind, it's not just one of us losing, it's all of us." The forging of a brotherhood was nothing new for Blackmon, whose older brother was a role model for him growing up. Jarriesse Blackmon played basketball alongside Julian in high school, and the two won a state championship together. Jarriesse was a year older, and when he left to go play basketball at UC-Santa Barbara, Julian suffered an identity crisis. "The reason it was such a big adversity for me is because I did everything he did. I followed in his footsteps," Blackmon said. "Just not having him, I was kind of lost. I didn't know what to do with myself, because at the time I hadn't found who I really was." The answer came in the form of his relationship with God. 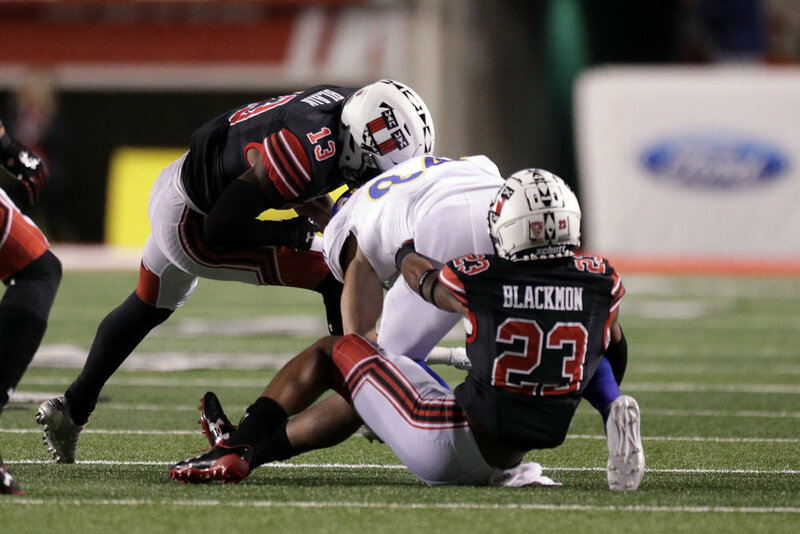 It couldn't have come at a better time for Blackmon, because at that point he wasn't worried about any losing streak with the Utes. He was just trying to get a scholarship anywhere, and at that point, he didn't have one. "When it came to praying before I would make that big step, I would always just say 'Dear Heavenly Father, I thank you for this day. I just want to sit down and talk to you about my progress.' " Blackmon recalled. " 'I've been working so hard, and I just hope that what you have in store for me is more than what it is right now.' I just prayed that He would continue blessing me and just thanking Him for even getting me as far as I was." Utah, which was located just 20 minutes south from his hometown of his Layton, had yet to offer him a scholarship. They were no different from every other school who was passing on Blackmon, but in the summer before his senior year, the offer came through. Blackmon was heading down the road to be a Ute. 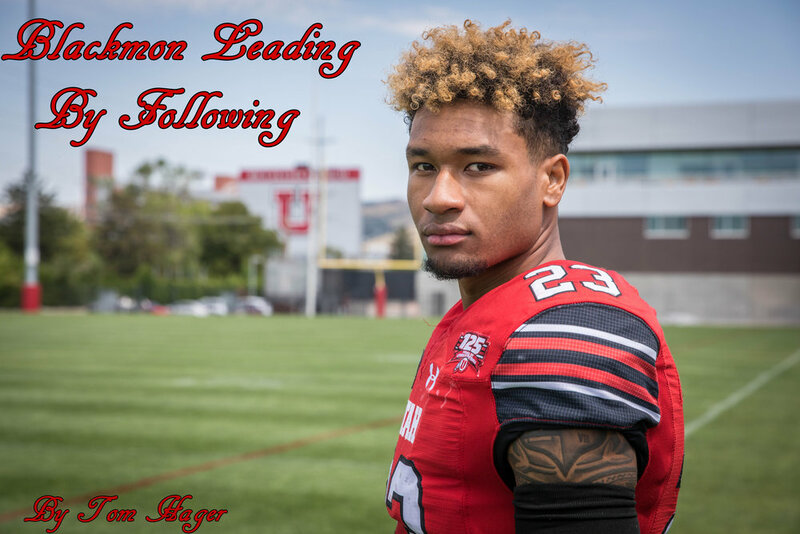 Flash forward to his sophomore season, and at 4-4 Utah's season was at a crossroads. The Utes broke the losing streak with a 48-17 win over UCLA, only to lose the next two games to stand at 5-6. If the Utes wanted to finish the year with a winning record, they would have to win the regular season finale and try to find their way into a bowl game.